May 2016 – What a great way to spend a lazy Sunday afternoon! We invited some of our adult students to help us paint a frame for our new photo wall here at the Collaboration Centre, it was also an opportunity for them to practice their English! 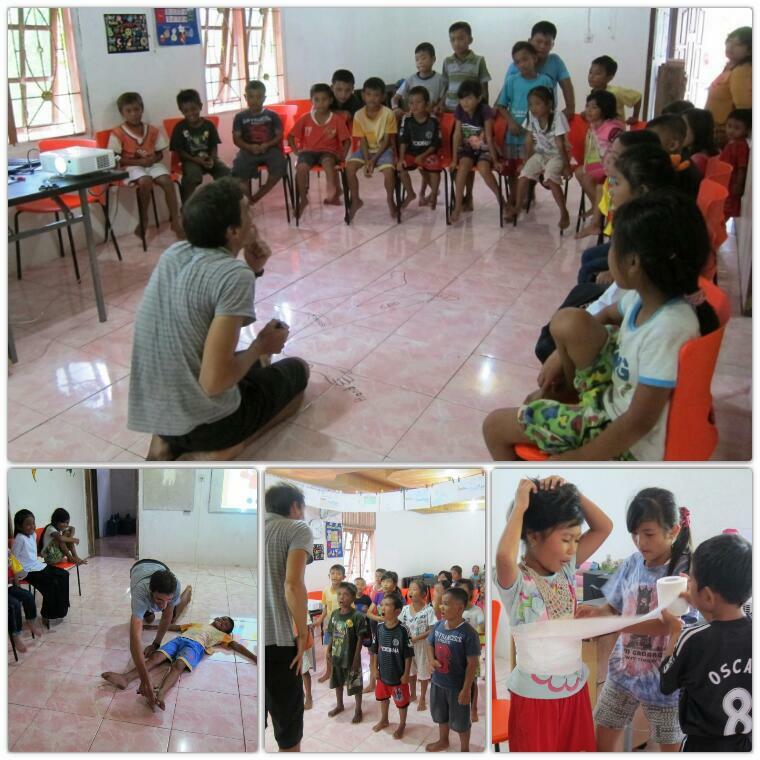 May 2016 – Our little learners here in The Mentawais have loved learning about parts of the body in their English classes. We also had fun in our make shift ‘Rumah Sakit’ and, armed with toilet paper, we made some major medical operations on parts of the body – too much fun! 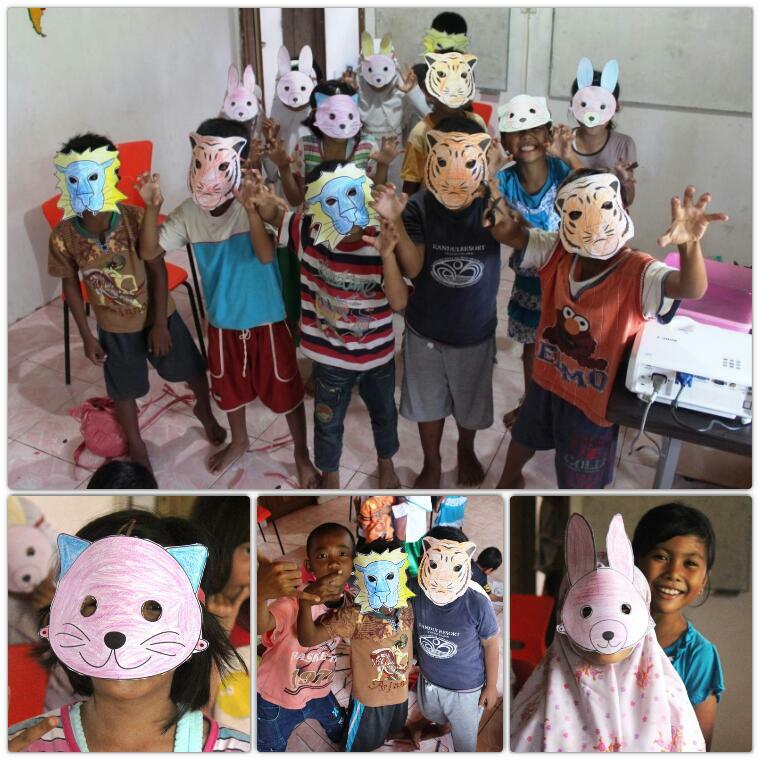 May 2016 – Our centre in The Mentawais was awash with wild animals today! A mixture of scary animal noises and giggles could be heard coming from the classroom of our youngest class. We decided to set them all free and cause havoc in the village! May 2016 – This video concludes a three week project which we have been enjoying with our ‘Kelas SD’. Through song, dance, craft activities and plenty of laughs we have been learning about underwater life and the environment in our English classes. Check out their awesome singing!